We help improve Brookdale Park through landscape restoration, volunteerism and advocacy. Established in 1928 and designed by the world renowned Olmsted Firm, Brookdale Park's historic landscape is rapidly deteriorating. We aim to improve and maintain the park's natural beauty through ongoing restoration projects and volunteer activities. Our advocacy efforts intend to promote park stewardship, wildlife appreciation and environmental awareness for all ages along with community outreach to better guide capital improvement projects. We cannot achieve these goals alone. We need your help. Join Garden Director Susan Jankolovits and her volunteer crew to help keep the historic Essex County Rose Garden looking its best. View our calendar for more details. Find out about our organization, mission, our methods, and the tangible results that we've achieved so far. Ready to take the next step? Become a member to help fund our work in the park, or participate yourself. We're excited to be able to offer our volunteers and financial supporters a selection of special thank you gifts. If you haven't already received your gift, please fill out our online form and start showing your Brookdale Park pride! 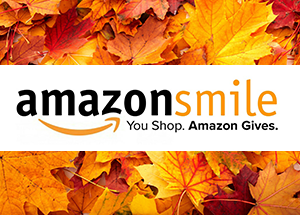 Set up your everyday purchases to benefit Brookdale Park by shopping through smile.amazon.com and selecting Brookdale Park Conservancy as your charity of choice. 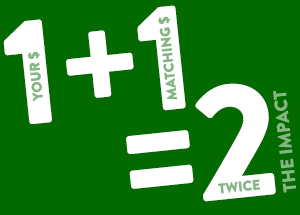 Per DoubletheDonation.com, only about 1 in 10 eligible donors get their donations matched by their employers. Contact us to help you find out about matching and grant opportunities that could help benefit the park. Brookdale Park Conservancy works in partnership with the Essex County Department of Parks, Recreation and Cultural Affairs, Essex County Executive Joseph N. DiVincenzo, Jr. and the Essex County Board of Chosen Freeholders. Unless otherwise noted, all content © Brookdale Park Conservancy, a registered 501(c)(3) organization.